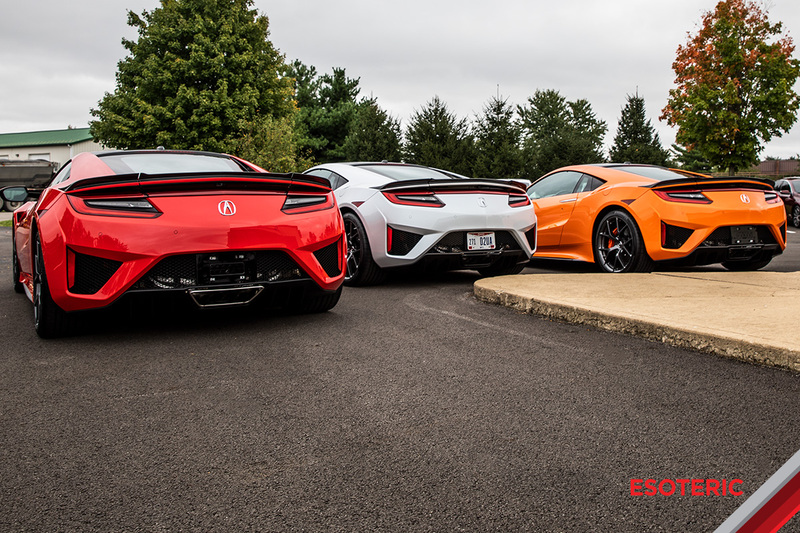 ESOTERIC has been a part of the new NSX program which is based out of Marysville, Ohio since pre-production. For 2019 Acura is rolling out an updated model and ESOTERIC was tasked with fully wrapping three NSXs. Paint protection film provides a clear, durable wrap that prevents chips and scratches that come from normal driving and also people crawling in and out during media events! 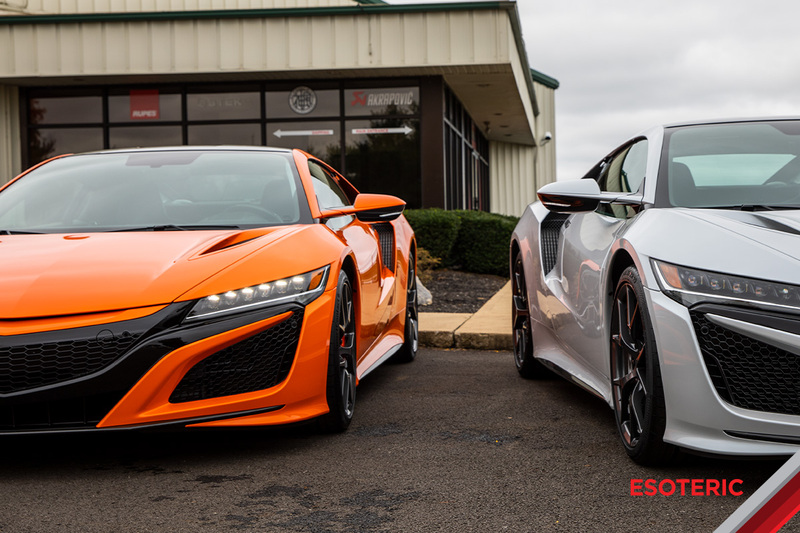 Hand-built not far from ESOTERIC in Ohio, we have been involved with the NSX project from pre-production development and we were happy to provide three fully wrapped and protected NSXs for the 2019 media event. Journalists from around the country were brought to Ohio to tour the factory and take test-drives around the proving grounds at the Honda Transportation Research Center. 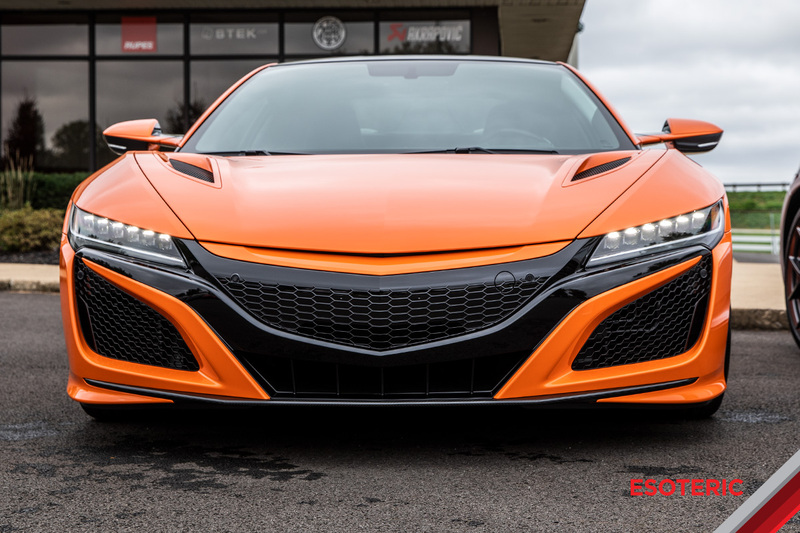 The Marysville, Ohio plant is purpose-built for the NSX, and inside it looks the part for an exotic car. When you first walk in, you notice it’s one giant open room, and that there are no assembly lines and very few robots. Instead, the cars move from station to station on carts, and that people do the vast majority of the work by hand. Everything is white, including the staff’s clothing, and the lighting is supplied by clean LEDs. It’s all very clinical. 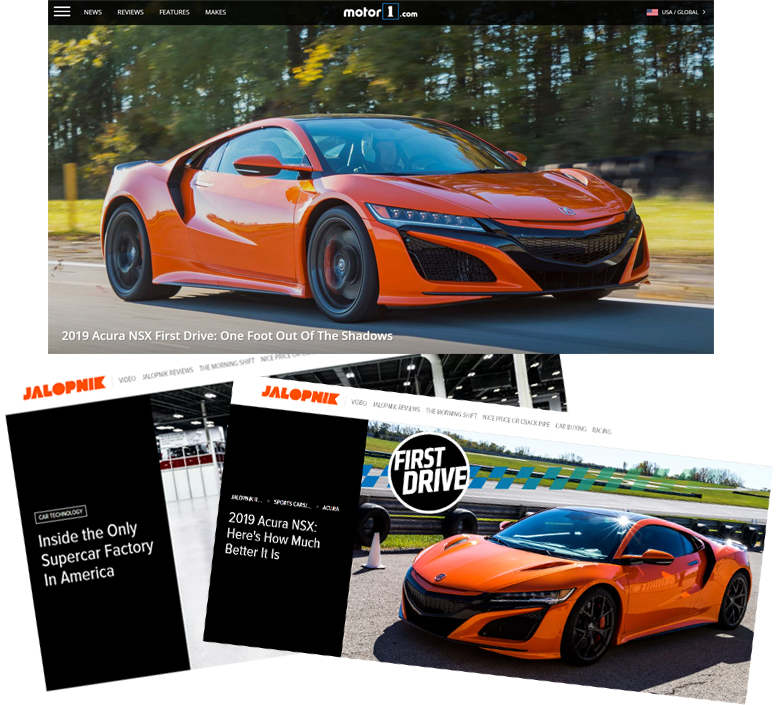 After a ton of tweaks and revisions, Acura has improved upon an already great car with the 2019 NSX. It may not seem like much from the outset, but the sum of the changes add up nicely. 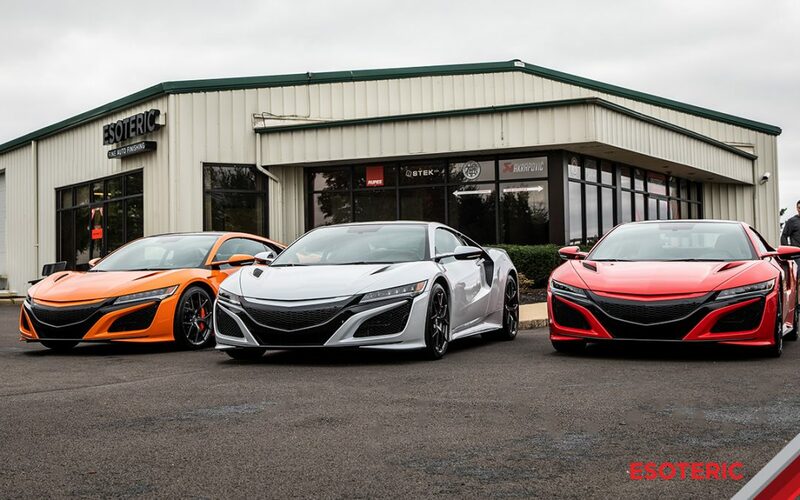 I definitely look forward to more time in this new NSX, whether on track or on some fun roads. I’m certain it’ll excel in either environment. 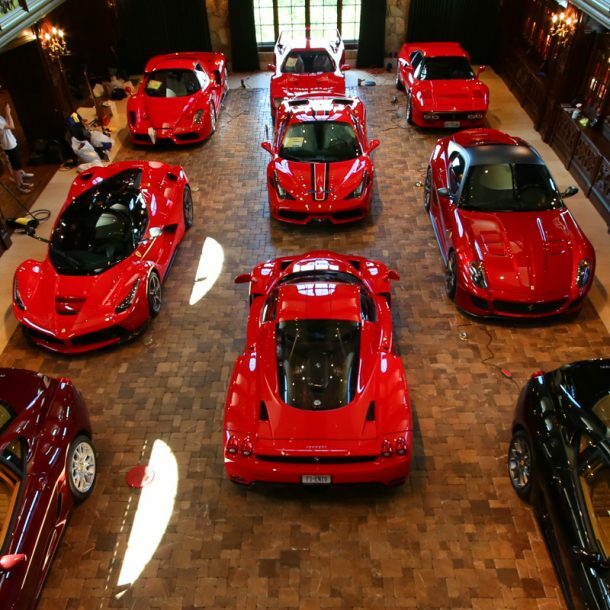 Learn more about Paint Protection Film (PPF) services by ESOTERIC by visiting our informational page.